Alice Miller travels through Ireland, from Sligo to Dublin, following in the footsteps of one of the greatest poets of the 20th Century. 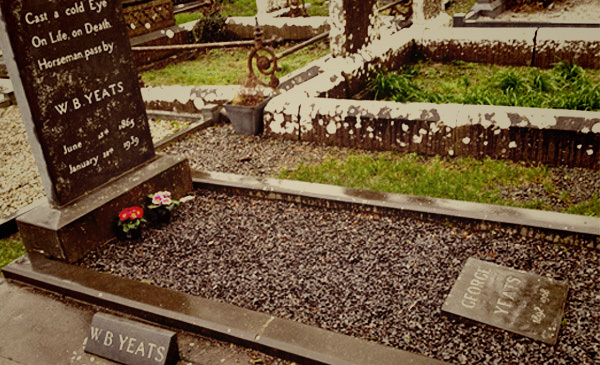 William Butler Yeats was an Irish poet, Senator, Nobel Laureate – and a firm believer in ghosts. He claimed that after death we relive our passionate moments over and over, loving the same souls, burning down the same houses and acting out the same murders. This year, the poet’s 150th birthday, is the perfect time to search for ghosts in his native land. Born in Dublin, Yeats grew up in County Sligo, in Ireland’s northwest. 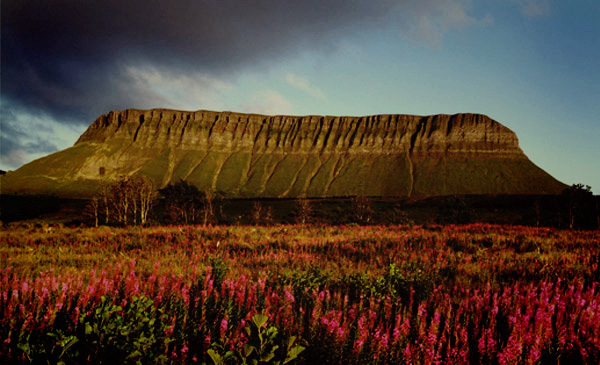 You can still imagine the scruffy young poet darting about the coastal town of Sligo, chasing fairies, scrawling words and building worlds. Yeats believed that when you spoke of a dead man you conjured his ghost, and if this is true, surely Yeats’ ghost comes to Sligo often: a famous Yeats summer school is held here every year; a statue of the poet stands in front of the Ulster Bank; and a building façade features a vastmural of his face. Just out of town are the modest grounds of a Yeats United Football Club, and at the village of Rosses Point, 8km to the north, a sign implores you to bring your rubbish home “for Yeats’ sake”. 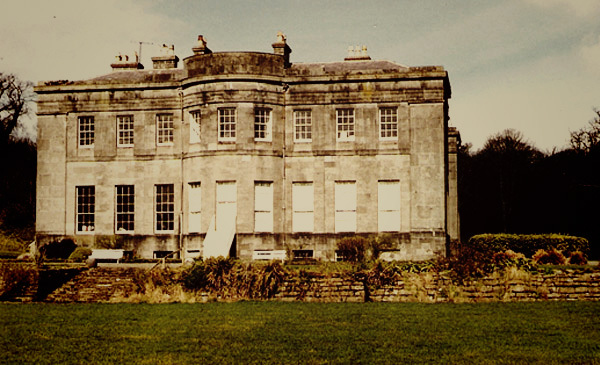 Across town is Lissadell, an imposing, ultra-austere grey mansion, haunted by a different kind of history. Here, Yeats used to visit the aristocratic sisters Constance and Eva Gore-Booth in the 1890s. In 1916, Constance was among the Irish revolutionaries who hopelessly rose up against the British. Fifteen men were executed in the wake of the Rising, and Yeats’ brilliant, ambivalent poem Easter 1916 declared that with their deaths, “a terrible beauty” was born. Driving 20km south from Yeats’ grave, I reached Lough Gill, a freshwater lake that is home to the island immortalised by Yeats’ early poem, The Lake Isle of Innisfree. The poet said he wrote the piece while walking through the frenetic London streets, yearning for the seclusion of Sligo’s lake isle. Many years later when Yeats brought his wife to show her the celebrated Innisfree, he rowed them both around the lake for hours, completely unable to find it. 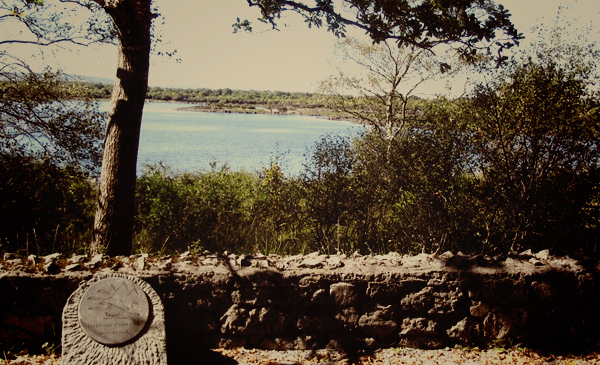 My next stop in pursuit of the poet was County Galway in Ireland’s west, 115km south of Sligo. In his 20s, Yeats travelled around here with his close friend Lady Augusta Gregory, collecting folklore and fairy tales from locals. 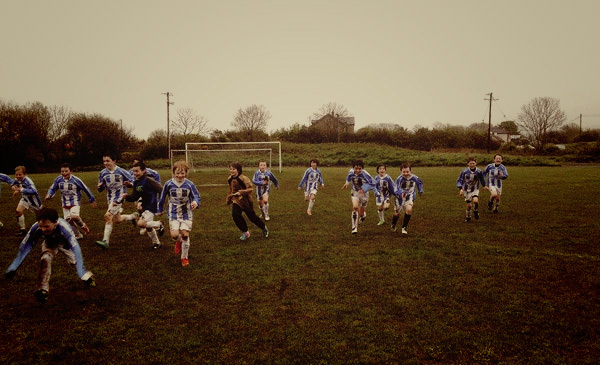 One of Yeats’ favourite stories features a troop of fairies who decide to punish a flirtatious country boy. The fairies affix a corpse to the boy’s shoulders, and tell him he must bury the corpse before sunrise. Other bodies rise from the dirt, attacking the boy, and he struggles to get the corpse off his back. When he finally forces it under the ground, he goes on to lead a cleaner life. Yeats, who is sometimes called the last Romantic and the first Modernist, often featured fairies in his early poems, but over time, the fairies came to be replaced by ghosts. County Galway’s wild green stretches have not changed much since Yeats’ time, still punctuated by crumbling medieval towers. It is an isolated, beautiful landscape, only occasionally interrupted by lines of identical modern housing. These complexes, relics of the 2008 economic crisis, are now known as ghost estates. 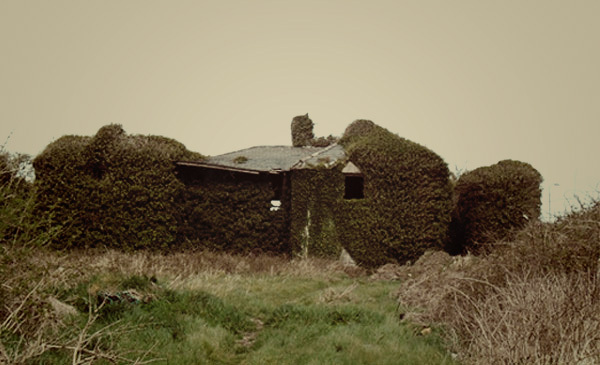 Built during Ireland’s property bubble, they have since been abandoned. Yeats regularly came to the County Galway estate of Coole Park to stay with Lady Gregory. While he was here, Yeats walked through Coole’s seven woods, dreaming of his doomed love for Maud Gonne, an activist, heiress and actress who rejected his marriage proposals for decades. Also here, Yeats wrote his famous poem The Wild Swans at Coole, in which the poet watches the birds “scatter wheeling in great broken rings” and reflects that while the birds seem unchanged, he is growing old. The poem ends with one of Yeats’ characteristic rhetorical questions, as he asks where the swans will have gone “when I awake some day/ To find they have flown away?”. When I wandered through the estate’s 6km of nature reserve, moss lined the paved paths, ivy clambered up trees, and across the lake, Yeats’ distant swans still drifted. All those summers at Coole inspired the poet to find a home of his own not far away. Just 7km to the northeast stands Yeats’ tower, Thoor Ballylee. In 1917, Yeats scraped together £35 to become the proud owner of his very own Norman “castle”. However, even after years of restoration, it still had no electricity or indoor plumbing and often flooded. Yeats’ friend, the American poet Ezra Pound, quietly referred to the tower as Ballyphallus, or Yeats’ “phallic symbol on the bogs”. 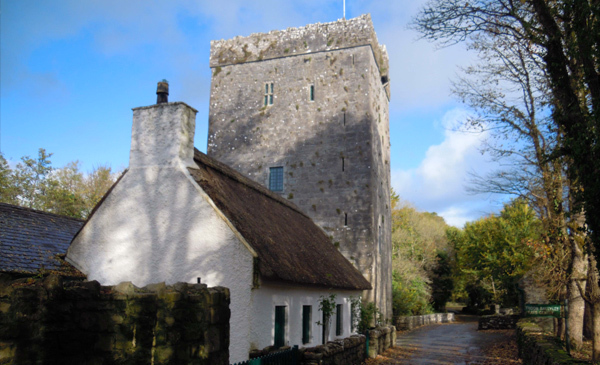 Shortly after acquiring the tower at the age of 51, Yeats married Georgie Hyde-Lees, a 25-year-old Englishwoman. Soon after the marriage, Hyde-Lees realised she had a particular talent for channelling ghosts. To the delight of her new husband, Hyde-Lees felt her hand seized by a strange power, and found herself scribbling down ghostly transmissions from the other world. Inside the medieval tower, the couple held thousands of conversations with these ghostly communicators. Conveniently, many of them dispelled Yeats’ anxiety he might have married the wrong woman. Through Hyde-Lees’ skilled hand, the ghosts not only advised Yeats on appropriate metaphors for poetry and the development of a philosophical system, but also on the importance of regular sexual activity and the careful details of family planning. My final stop was Dublin. Here, the post office building, destroyed in the Rising and rebuilt in the same Georgian style, was brimming with people. The Abbey Theatre, co-founded by Yeats in 1904, was preparing for the night’s performance of A Midsummer Night’s Dream. 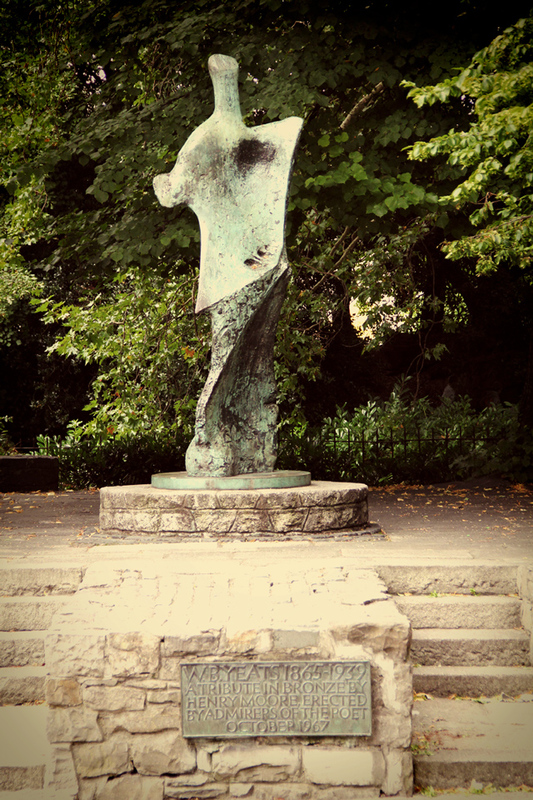 And at the nearby city park of St Stephen’s Green, Henry Moore’s angular statue for Yeats caught the trees’ shadow in view of the tame swans that settled by the stream. 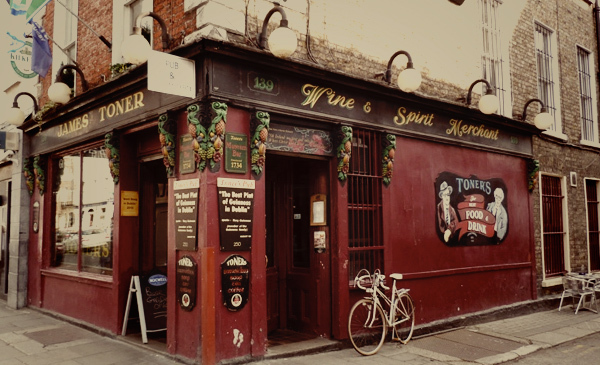 Just a three-minute walk from the park is Toner’s Pub, which Yeats used to frequent. On the Tuesday night that I visited, every chair was filled as men and women threw their voices out over creamy pints of Guinness, raising eyebrows, pointing fingers and spilling laughter across the dark wooden tables. 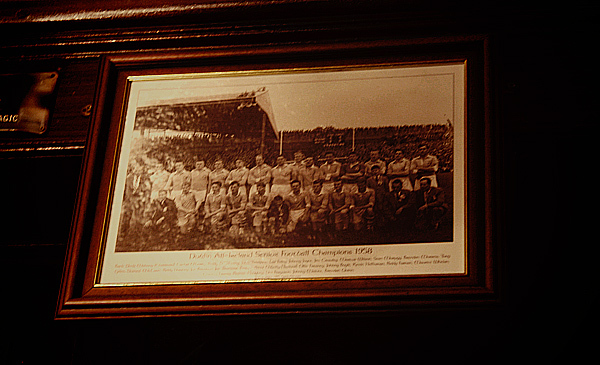 One of the many pictures in Toners of former Dublin All-Ireland Football winning teams – this one is of the 1958 champions. Toners pub of Baggot Street, Dublin 2. The pub is almost two hundred years in operation : William Butler Yeats was here! I wandered a couple of blocks over to Ireland’s National Library, regularly open late, where a long-term exhibition, established in 2006, presents a deep, sustained exploration of the poet’s life and works. Faintly lit cabinets display poem drafts, golden candlesticks, images of the women Yeats loved and pages from the ghostly communicators’ script. As I moved through the space, voices spoke over each other: actors read poems, Yeats’ friends and lovers remembered the man, and academics sifted through Irish politics and mysticism, all contributing to a ghostly tangle of sounds. Now and again, in one of the only recordings of the poet, Yeats intoned his intention to arise and go now, and go to Innisfree. Original article by Alice Miller, a New Zealand writer living in Vienna. She is the author of The Limits, published simultaneously by Shearsman and Auckland University Press. This is a review of the the original BBC article that appeared here.